NEW YORK, NY--(Marketwired - August 14, 2016) - Renowned New York City-based investor Jacob Frydman has recently commented on the unprecedented numbers of Manhattan's office leases reaching a two-year high described by the Savills Studley Report, and the driving forces behind them. The regular guest-analyst on television programs such as Bloomberg TV and Fox News specializes in emerging market trends, and has conducted real estate transactions totaling over $2 billion. During 2016's second quarter, leasing activity reached an eight-quarter high of 8.0 million square feet (msf). Boosted by several large transactions in Grand Central, and a consistently strong Midtown South market, the record quarter marked only the second time in two years that over 5.0 msf were leased. Jacob Frydman remarked that Manhattan's office sector has not only rebounded from its crash of 2008, but that it is actually performing better than it had prior to. Grand Central experienced five major transactions, including three of the top four in Manhattan, which totaled over 1.0 msf leased. A deal with NYU's Langone Medical Center was the largest of these; the center acquired an office space with almost 400,000 sf on East 41st Street. Midtown South exceeded a long-term quarterly average of over 1.0 msf for the tenth time in twelve quarters, proving to be the city's most consistent market. The district has had nearly 500,000 sf of sublet space added, a sign of its willingness to adapt to small and innovative technology, advertising, media and information (TAMI) tenants. Vacancy rates fell across the board with an average rate of 8.8%, and Midtown South reporting the lowest rate of 6.3%, remaining one of the tightest Central Business Districts in America. Driving competition was the TAMI sector, as these tenants accounted for 41% of new leases acquired over 10,000 sf. As a result of the persistent demand for 20,000 to 50,000 sf spaces, Cushman & Wakefield's second quarter statistics reported a June average rent price of $72.99 per square foot (psf), the highest since September of 2008. At 13.6 msf leased during the first six months, 2016's brisk start is well above historical averages, and New York continues to be one of the nation's leading cities in employment growth. Jacob Frydman expects tenants to continue to push demand, and believes the market is fundamentally strong enough to produce activity that surpasses 2012 and 2013 levels, both benchmark years. 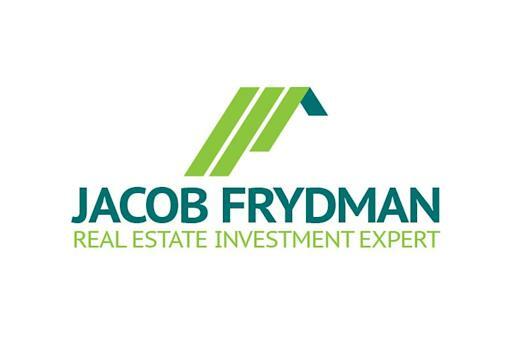 Over his 30-year career, Jacob Frydman has become a recognized authority in the real estate investment industry. His impressive experiences with structuring, financing, and executing highly complex real estate transactions have led him to acquire over five million square feet of property amounting over $2 billion. He often discusses business, law, and ethics at Columbia University and in the Master's Lecturer series at New York Law School. An avid philanthropist who cares greatly for his Jewish community, Frydman also supports many charitable committees, including The Chabad of Dutchess County and The Brem Foundation.